El Bohio is a restaurant in Cabo Rojo, Puerto Rico. They are one of the oldest restaurants in town, and have built up a formidable reputation due to their excellent cooking staff. They offer a range of local seafood, from stuffed mofongos to giant red snappers, and also have a lot of other delectable treats on the menu, from drinks to desserts. Its proximity to the Isla de Ratones means that you also get to enjoy a serene view while enjoying your meal. Once you’re at El Bohio, you can get started with some delicious appetizers, which range from garlic bread to local favourites, like the picaderas and the empanadillas. You can choose from their extensive seafood platter for the main course, which has the regular choices, but also some different fare like the Chapin fish and the Mahi Mahi. They also have some delightful desserts, with the simple custard being a crowd favourite. At El Bohio, you even get the option to ‘take out’ your meal, which a lot of tourists love doing. The restaurant is well air conditioned, but they also have a back station in case you want to eat by the sea. There are children’s activities on the deck outside as well, to keep them occupied while your order is being prepared. El Bohio has been around for over 60 years now, and the experience shows. They take great care of their customers, as well as the quality of the food. 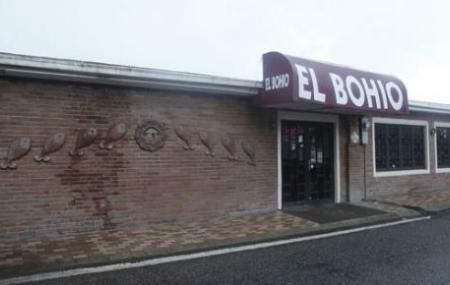 All in all, El Bohio is a great place for a lunch spot, dinner, or an after-hours gathering. El Bohio takes a while to serve your order. Be prepared to wait a little if you choose to visit this restaurant. How popular is El Bohio? People normally club together Isla De Ratones and Buena Vibra while planning their visit to El Bohio. My favorite place. Sea food to land food. Very polite. Offer inside in A/C and outside over the sea water. You can see the fishes where you eat and feed them with some of your bread. Good prices for the food. Food consistency good. This is an amazing restaurant!!! My family and I go at least once a year (because it's really far from us) They have excellent service, amazing food and breathtaking ocean views. If you like the ocean or food related to it this is the place to go. The prices are affordable and the experience is great! Enjoyed the beautiful view, friendly staff and the food was on point (many seafood options and also mofungo!) This is a nice stop if you are driving through this area. We sat on the "bridge" , and had a nice view of the crystal blue waters and the large tarpon. Lovely place , for all ages and groups. My go to place for seafood. Just plain great dishes.